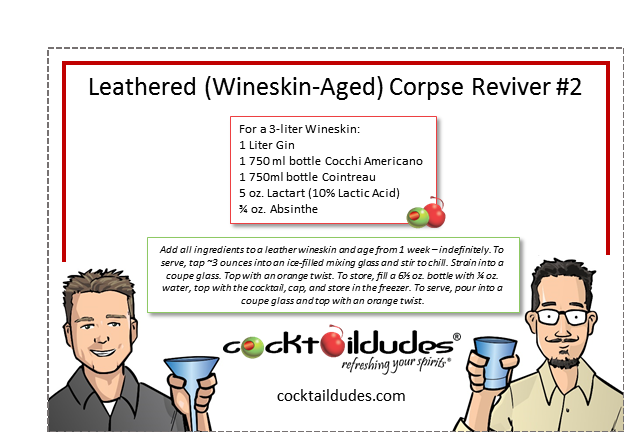 Add all ingredients to a leather wineskin and age from 1 week – indefinitely. To serve, tap ~3 ounces into an ice-filled mixing glass and stir to chill. Strain into a coupe glass. Top with an orange twist. To store, fill a 6⅓ oz. bottle with ¼ oz. water, top with the cocktail, cap, and store in the freezer. To serve, pour into a coupe glass and top with an orange twist. Our favorite, and the most enduring of all of the Corpse Reviver cocktails, comes from a series of cocktails meant to cure your hang-over. The original recipe for this delight (from Harry Craddock’s 1930 Savoy Cocktail Book) called for equal parts of the four principal ingredients. We prefer a bit more gin as, otherwise, the botanical notes are lost in the slurry. Aging it in our wineskin adds a very interesting leathery component to the mix. The original recipe also called for Kina Lillet, which is no longer in production. It was a bit sweeter and more bitter than today’s Lillet Blanc as it was infused with quinine – the bitter element from the bark of the cinchona tree. Today we substitute Cocchi Americano – an Italian fortified aperitif (aperetivo) flavored with the cinchona bark, gentian, citrus rind, and spices. 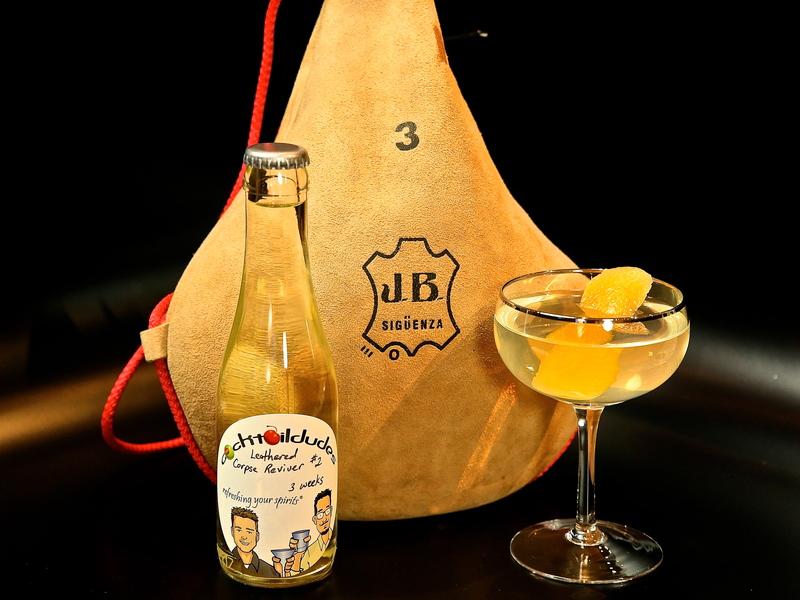 The Corpse Reviver #2 is a delightfully complex drink that enhances well when aged in the wineskin or in an oak barrel. It is packed with flavor. Bold botanical notes with a broad, yet subtle, minty perfuminess melds well with the tartness and hint of bitter and sweetness. Check out the other cocktails that we enjoy aging in a wineskin, our Tools and Techniques page on how to obtain and maintain your wineskin, and even our Barrel Aged Corpse Reviver #2. Cheers!